Stephen F. Lynch was sworn in to the United States Congress in October 2001, following the passing of legendary Congressman John Joseph Moakley. His primary election took place on September 11, 2001. The son of Francis Lynch, an ironworker, and Anne Lynch, a postal clerk, Stephen was born and raised in South Boston’s Old Colony Public Housing Development with his five sisters. While attending South Boston High School, Stephen joined his father as a member of Ironworkers Local 7 in Boston. 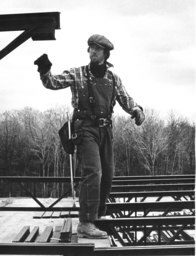 For eighteen years, he put on his work boots and climbed the iron, working as a structural ironworker. Working the high iron gave him a unique perspective. From the top of those skyscrapers, he never lost sight of the public housing project where he spent his childhood. He never lost sight of the lessons taught by hard working parents. And he never lost sight of the promise of America – that with courage, hard work and determination, anyone can go higher and further. As an early testament to his leadership skills and commitment to serving working people, he was elected to serve as President of Ironworkers Local #7 - the youngest president in the history of the 2,000-member union. He went to school at night and on weekends to earn his Bachelor’s Degree in Construction Management from Wentworth Institute of Technology. Stephen continued his advocacy on behalf of working families through a second career as a labor and employment attorney, after receiving his law degree from Boston College Law School and being admitted to both the Massachusetts and New Hampshire Bars. In 1994, Stephen’s experience in addressing the cares and concerns of working people transformed into a career in public service when his neighbors elected him to the Massachusetts House of Representatives. In just fourteen months, he was elected to the Massachusetts State Senate in a special election. He served as Chair of the Joint Committee on Commerce and Labor and led efforts to better safeguard worker rights and promote responsible business development in the Commonwealth. In 1999, he earned a Master’s Degree in Public Administration from Harvard University’s John F. Kennedy School of Government. Stephen Lynch has a strong belief that government should work for the people it serves. He has an outstanding record of responding to the needs of his constituents and helping them to navigate through the red tape of government agencies. Whether it’s a missing social security check or assistance with housing, his office has earned a reputation as the place to go when you need help. Because of his reputation for standing up for people, his constituents have sent him back to Congress in overwhelming numbers, earning him the highest number of votes of any Congressman in Massachusetts – and 6th best in the nation. 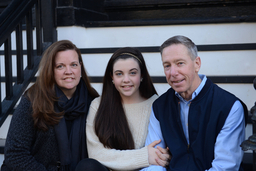 Congressman Lynch has been a lifelong resident of his hometown of South Boston, where he and his wife Margaret are raising their daughter Victoria. Though he works in Washington during the week, he prides himself on his commitment to get home to the district when his votes in Congress are done, attends town meetings and stays in close touch with all of the cities and towns in the 8th district.